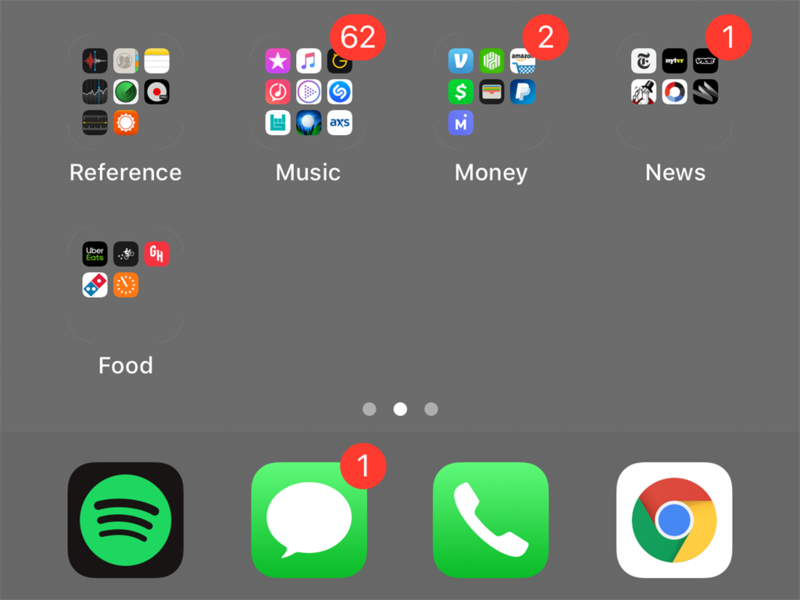 Twitter user @heyeased discovered an iOS 12.1 glitch that makes the folders and dock on your iPhone's home screen transparent. The glitch involves using a certain image as the phone's background, and turning on "Reduce Transparency" in the phone's settings. Twelve backgrounds are available for notched iPhones, and 11 are available for older iPhones like the iPhone 8. 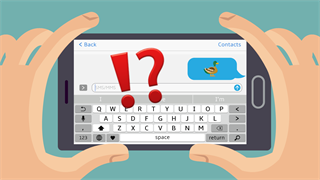 In some rare cases, phone software glitches can actually make the experience more enjoyable. 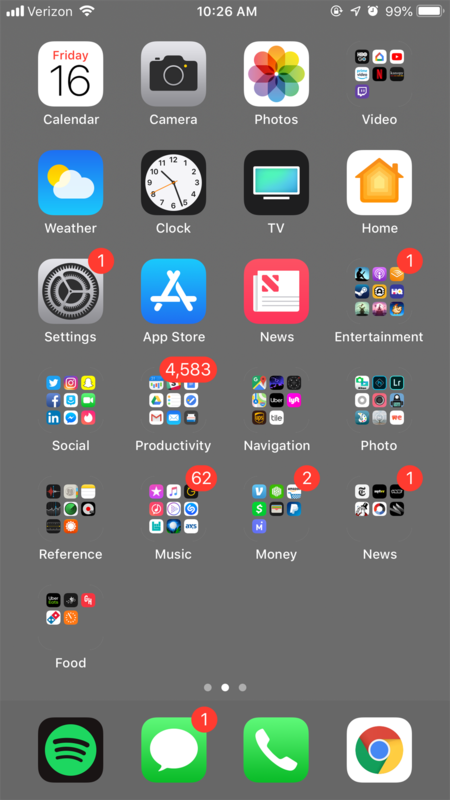 Twitter user @heyeased, who creates the "Mysterious iPhone Wallpaper," discovered an iOS 12.1 glitch that makes your iPhone's folders and dock transparent. 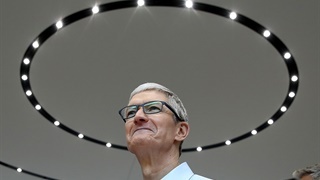 The result is a minimalistic look for the home screen that isn't conventionally available, given Apple's few customisation options when it comes to their phones' interfaces. Go to Settings -> General -> Accessibility, then toggle on "Reduce Transparency." Next, pick out the background you'd like to use. 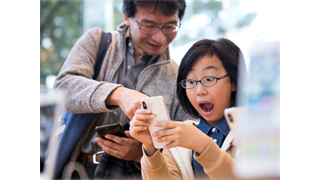 For notched iPhones like the X, XS, and XS Max, click here. For iPhones without a notch, click here. Scroll to the coloured wallpapers, tap on one to open it in its full resolution, and save it. For iPhones without a notch, @heyeased recommends using the "Perspective" setting when applying the wallpaper. He also said to make sure you don't move the image around before confirming. 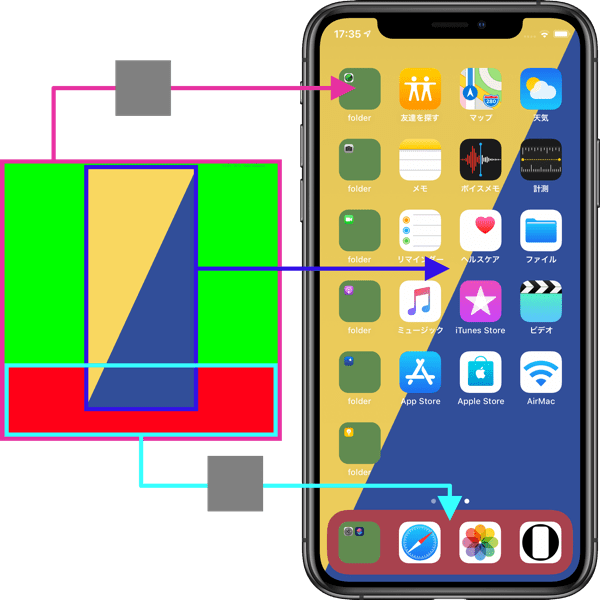 For the iPhone X and other notched models, @heyeased said to use the "Still" setting when applying the wallpaper, and to make sure "Reduce Motion" is turned off in the phone's settings. You shouldn't move the image around before confirming, either. The wallpaper should now be applied, and your folders and dock should be invisible. It should be noted that some subtle lines are still visible on the edges of the folders, and right above the dock. The creator of these transparent backgrounds has also released a different glitchy wallpaper series, but these don't make your dock and folders disappear. Instead, these "Painter Type" wallpapers cause your phone's background, folders, and dock to all appear as different colours. The "Painter Type" wallpapers can be downloaded for notched iPhones here, and for iPhones without a notch here.